Para entrar precisa clickar no chão no meio da capela aí ela vai abrir. Ah yes, the deep and engaging class fantasy for priests: asking %^&*ing paladins to come save our asses from big scary demons. When you go to Light's Hope Chapel, you have to click on a "Secret Door" in the middle of the floor. Shout out to Tetronian on the wow beta forums for sharing this info. 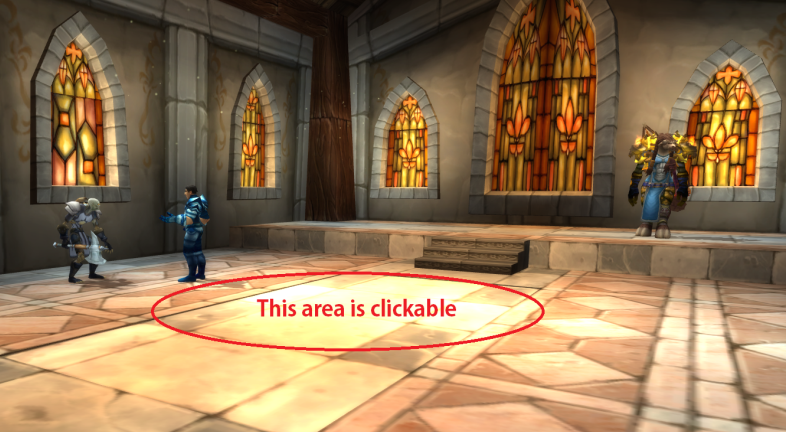 As noted by Zharya above, the way to get to Liadrin is by clicking on the secret area in the middle of the floor inside Light's Hope Chapel (thank you! ); here's a screenshot showing exactly where to click. Fastest route for Alliance is to take the portal beneath Dalaran to Dalaran Crater and fly from there. "Time is of the utmost importance!" "Uh.. you know we could always just use the paladin portal to get there and back then..."
"nah screw that go fly there and back nerd lol"
Alonsus: "Time is of the utmost importance!" Me: "Well then why can't I use the frickin paladin portal to get there and back?" Alonsus: "Cuz ur a nerd LOL"
You can use the portal to Dalaran crater from Dalaran and fly to the Light's Hope Chapel in Eastern Plaguelands, coordinates are 75.4 52.7 . Get in and interact with Secret door that colored gold. Follow the stairs down and have a talk with Lady Liadrin. Next quest is Aiding the Conclave. While you're at Light's Hope, go and visit Intendente Miranda Cerraculatra and pick up a Orbe do Taumaturgo if you don't have one already. Does anyone know why paladins and priests seem to have so much tension between them? When Maxwell Tyrosus enters Netherlight Temple a few quests prior to this, the guards are incredibly hostile, stand in his way and yell that he has no right to be there. When you as a priest enter Sanctum of the Light, the guards are saying you're welcome as a guest as long as you don't cause problems. What kind of problems would that be? Why aren't priests and paladins on better terms? Vá ao Sacrário da Luz, fale com a Lady Liadrin e escute o conselho de guerra. Você e Delas lidaram com os paladinos antes, talvez eles lhe concedam uma audiência com o conselho de guerra. Vá ao Sacrário da Luz e peça aos paladinos que ajudem na defesa do Templo Eterluz contra o ataque de Balnazzar. Vamos ajudar a defender o Templo Eterluz e preparar uma armadilha para Balnazzar.